Want to work as a dancer? Nordic Business Forum. The show is here again. You cant complain, a great event. Helsinki just got over the Trump and Putin Tango this summer and now Obama is in town. Crazy. If you are attending then you are definitely in for a great show. If you wont be able to attend, Obamas session will be streamed live here. For those in town for just the event, we have developed a guide that will ensure you get the most our of your visit, so that you wont be too stressed out and will be able to attend the best after party in town at Crystal Show Club. Please make sure to collect you pass so that you will be able to get in. Official instructions read: To enter the event, each attendee will need to collect their seminar pass from our check-in desks upon arrival at the venue. Please be prepared to show your ticket and valid ID when you arrive at the pre-check-in. It is equally crucial to get the event APP in order to be able to properly follow and participate: The Nordic Business Forum event app is your go-to guide during the event. Ask questions from the speakers, share your thoughts and takeaways, and connect with other attendees. The app is available in the Apple store and Google Play store. Monday (Sept 24) to Tuesday (Sept 25), from 10.00 to 20.00. The event starts with lunch at 11 OR with an executive session if you are a VIP. Hosted by Gary Hamill, (the guy from Star Wars!!). 19:30 – Day 1 at Messukeskus ends. 20.00 – You take a shower at your hotel. 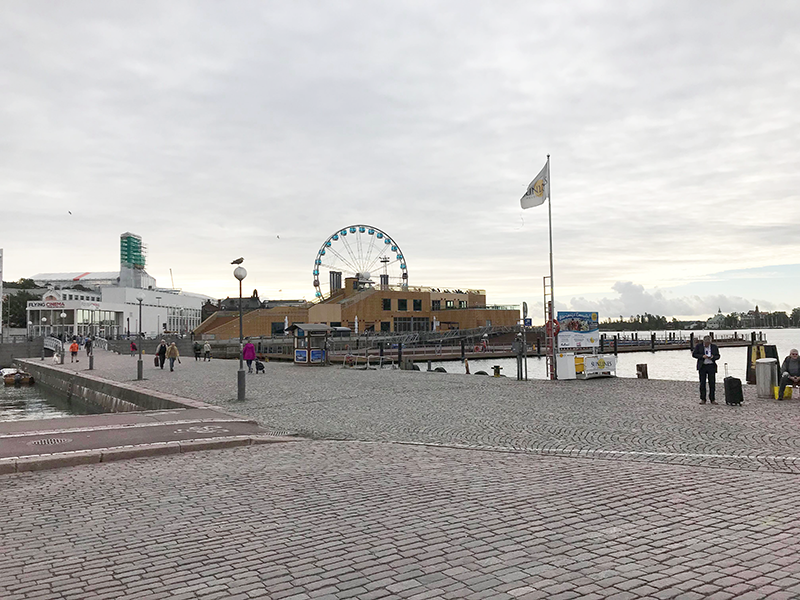 21.00 – You have dinner – read about or recommendations for great restaurants in our Helsinki Business travellers guide here. 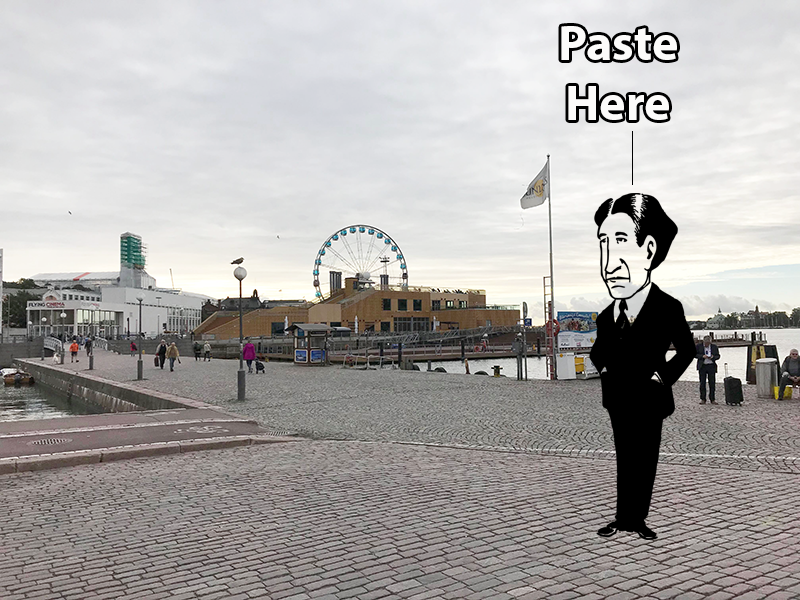 22.00 -You should finish up your meal and have brisk 5 minute walk towards Lönrotinkatu 19 as the Crystal Show Club after party has already started at 9pm. If you ate too much there is no need to rush, just stroll comfortably and take in the clean air as the club and the party will be going on untill 5am. 05.15 – Arrive back at your hotel, investigate the minibar. 13.00 – Skip the hotel breakfast and put on the news. Chillax. 14.00 – For those of you who are daring, take a shower, grab some food and go see some sights. Dont bother with the your Nordic Business Forum Pass. They host the event every year. 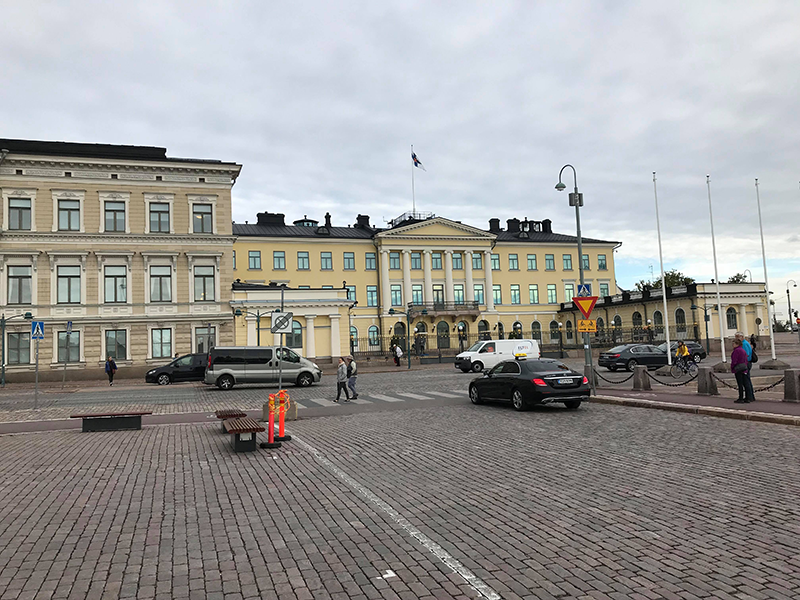 15.00 – Head down to the Presidentin Linna (the presidents “palace”) next to Kauppatori. Take some pictures. 15.30 – Get a drink at Allas Sea Pool. 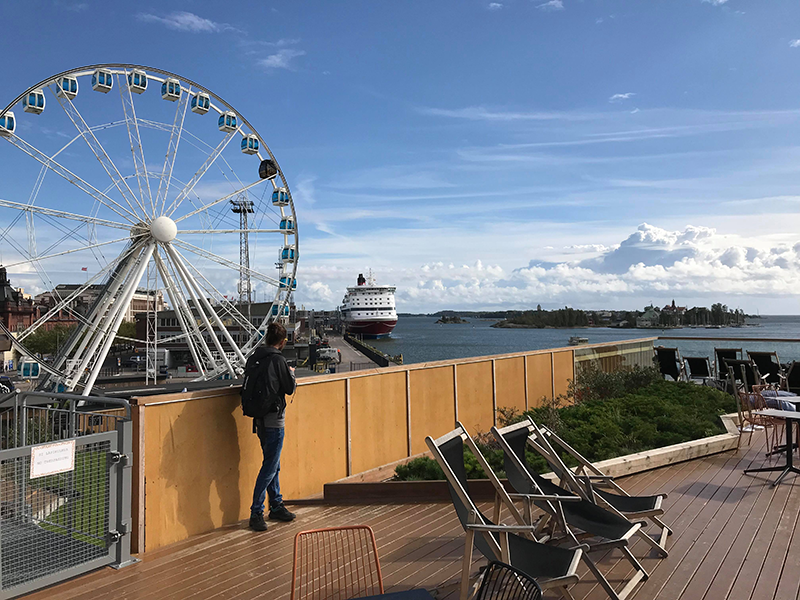 Site silently (a Finnish custom) and enjoy your drink while watching the Helsinki Sky Wheel. 17.00 – Head back to your hotel and prepare for your night number #2 at Crystal Show Club. 21.00 – Jump in the shower and get in a taxi. You know the routine by now. Should Thursday afternoons schedule be too demanding, you can use our proprietary images below and post those on your LinkedIn feed to prove everyone you managed to get out of bed. If you really feel you must impress your colleagues or family back home, you can use these images to adjust for scale. When you come to the club, just ask for our bar man at Crystal Show Club Bar to take a picture of you and then you should be able to conveniently photoshop yourself in for a very realistic finish, as below.